From the legal significance of Representations and Warranties to the ramifications of Personal Guarantees and Indemnities, this presentation provides an experienced deal-making attorney’s insights into some of the more crucial (and least understood) provisions contained in the CABB Asset Purchase Agreement. Newfound knowledge to help you better avoid legal landmines that might both endanger the closing of a deal or create risk of problems down the road. Practical insights that enable you to better anticipate some of the issues which legal counsel could raise over the course of the deal as you move the transaction toward a successful closing. Since first receiving his business degree with an accounting emphasis (1977), and then graduating from the UCLA School of Law (1980), Attorney Ziprick has been privileged to provide practical legal counsel to clients throughout California. He has been intimately involved in providing legal guidance during many sale transactions. Through creative problem solving, attention to detail and understanding that unnecessary delay is often a deal killer, Attorney Ziprick has worked closely with his clients, brokers, and other professionals to consistently achieve a high rate of successful closings. The Business Law Firm of Attorney Ziprick is proud to be an affiliate member of CABB, and to support its efforts to both maintain and enhance the high levels of excellence of its members within the California Business Broker arena. Deadline to register online is Monday, May 13, 2019, at 12:00 pm. 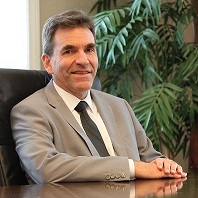 Speaker Summary Since first receiving his business degree with an accounting emphasis (1977), and then graduating from the UCLA School of Law (1980), Attorney Ziprick has been privileged to provide practical legal counsel to clients throughout California. He has been intimately involved in providing legal guidance during many sale transactions. Through creative problem solving, attention to detail and understanding that unnecessary delay is often a deal killer, Attorney Ziprick has worked closely with his clients, brokers, and other professionals to consistently achieve a high rate of successful closings. The Business Law Firm of Attorney Ziprick is proud to be an affiliate member of CABB, and to support its efforts to both maintain and enhance the high levels of excellence of its members within the California Business Broker arena.